Kirtley’s A2 class satisfied requirements for suburban tanks on the Chatham during the 1880s, but increased demand at the end of the decade meant that in August 1890 Kirtley sent the A2 class specifications out to prospective manufacturers inviting them to tender on eighteen new builds. Sharp Stewart won the contract, but within a month Kirtley had changed his mind and sent considerably revised specifications labelled ‘A3 Class’. By November, with the withdrawal of the final member of the Ruby Class, the title of the plans for the new locos was amended to ‘R Class’. The new locos, delivered from September 1891, had a slightly smaller boiler, both in terms of length and diameter, with a greater firebox heating surface and higher working pressure. The driving wheels were 1″ smaller than the A2s, and other differences included a smaller coupled wheelbase, and smaller square-topped side tanks with an additional well at the base of the bunker. The condensing pipes left the smokebox from the upper part of the smokebox into a point midway along the tops of the tanks, in the style of Johnson’s Midland 0-4-4Ts, and the increased steam travel in these longer exposed pipes assisted condensation. On inner suburban working, the new R Class were found to be as good as, if not better than any loco of the period working in Town; the powerful tanks were capable of good acceleration, and were free from slipping, which was used to good advantage on the steeply graded lines. Their Achilles heel proved to be the longer outer suburban services with the attendant faster runs and longer distances to which they were not particularly well suited – an unfortunate revelation, as it was the 0-4-2WT ‘Scotchmen’ employed on these duties which Kirtley had hoped the new class would replace. All eighteen members of the class were initially sent to Battersea, though a couple of locos were soon migrated to another local shed.As with most LC&DR locos and stock, these locos will need to be scratchbuilt. Number 199 stands at Longhedge, apparently soon after entering service. The handsome LC&DR paint livery was gloss black with a broad blue-grey band edged with fine vermilion on the outside and a fine yellow line on the inside. This concludes the précis of LD&CR locos on Basilica Fields in the 1890-98 period. With the opening of Victoria in 1860, the Chatham was able to offer a comprehensive passenger service in and about London, but it would be another fourteen years before the trains were fully patronised, which in turn led to a demand for longer trains and a faster service. This upsurge in suburban travel coincided with the appointment of William Kirtley, nephew of Matthew Kirtley, who had died in harness at the Midland the previous year; William had been Matthew’s Works Manager at Derby for a decade. On his appointment, Kirtley found Longhedge drawing office preparing plans for an enlarged ‘Large Scotchman‘ to tackle the increasingly heavy suburban duties, but the new man had other ideas and began preparing drawings for a modern 0-4-4 with side tanks, not unlike Johnson’s latest design on the Midland, though the round-topped tanks were a definite doff of the cap in the direction of Stroudley’s contemporary designs on the rival LB&SCR. With the design approved, tenders were sought, culminating with both Neilson and Vulcan providing nine examples each. The new locos were all based at Battersea, and immediately ousted the smaller Scotchmen class from through services to the GNR and Midland, as well as taking charge of Victoria to Moorgate Street services. Reaction from the crews was mixed; drivers appreciated the power of the A class, especially on heavy gradients, but firemen were less enthralled with the heat generated in the enclosed cabs, especially when working in the Widened Lines tunnels, nor were they keen on their greater demand on both coal and water. The build up of heat in the cabs was resolved by the fitting of opening look-out windows at the first general repair. The success of the 1875 batch led to a new batch four years later. Kitson tendered and won the contract for twelve locos which had the driving wheel diameter increased by 4″ to 5’ 7″ and a host of minor detail differences, including raising the height of the condensing pipes exiting the smokebox up to the boiler centre line, and incorporating the front sandboxes in the leading driving wheel splashers. These twelve locos, classed A1, also went to Battersea, sharing duties with the earlier A class, and were also utilised on services terminating at Hendon and Wood Green. The new locos proved to be free-steaming and the crews preferred them to the original locos as they were easier to fire, and the cabs better ventilated. 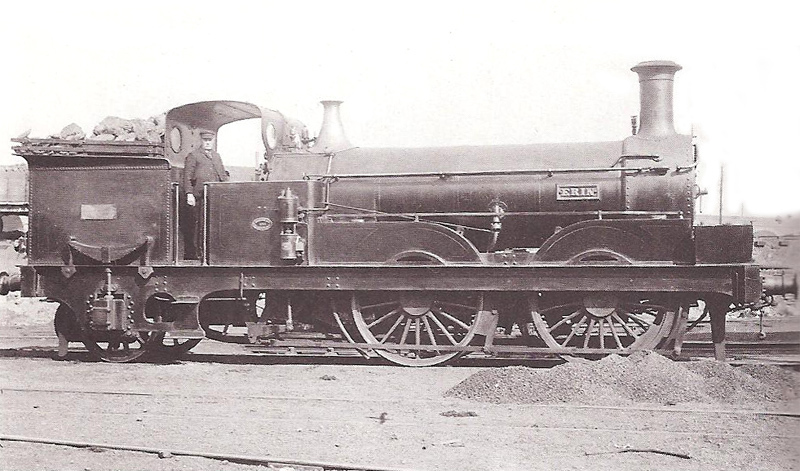 Kirtley’s A series was completed in 1883-4 with the introduction of six locos classed A2. These were almost identical to the A1 batch, but again with some minor differences, and were built by Robert Stephenson & Co. Again, all six were sent to Battersea, working on all suburban services alongside the A and A1s as well as Martley’s 0-4-2Ts, but by the 1890s they were more likely to be seen on services to Wood Green. It’s very unlikely that I’ll build an example of all three in LC&DR livery – the Chatham service over the EWL isn’t going to be that intensive(! ), and I think it likely that No.112, the final example from the Vulcan-built batch of 1875 (Class A) is the likely candidate. With the imminent opening of Ludgate Hill terminus, and the projected link with the Widened Lines at West Street, by August 1864 it was obvious to the board of the LC&CR that a more powerful class of locomotive than the Second Sondes was needed for the cross-London trains, and following much discussion, Martley’s design for a larger 2-4-0T was put out to tender. 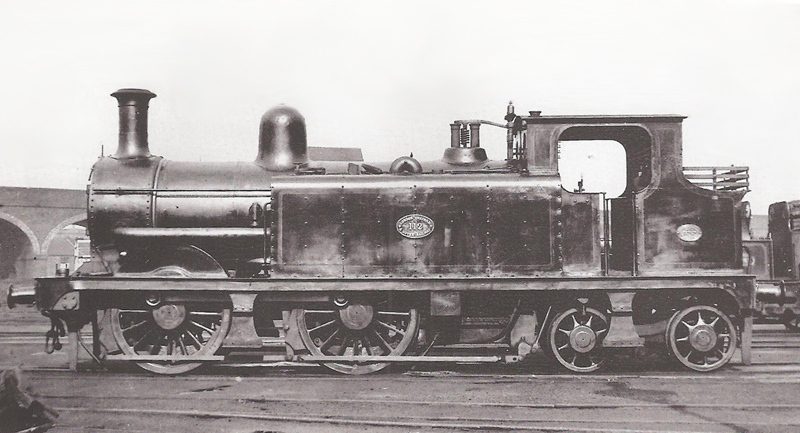 Neilson & Co.returned with the lowest price, but following consultation with the Locomotive Superintendent, Neilson & Co. suggested substituting the design for an 0-4-2 well tank, similar to those being supplied by them to Sturrock of the GNR for Widened Lines duties. Sturrock was approached and had no objection to his design being replicated, and so the Chatham was supplied with fourteen of the well tanks. Named after Scottish islands and rivers, the class became known on the Chatham as Scotchmen; they performed their duties well, and remained on Widened Lines turns until the introduction of Kirtley’s A class 0-4-4Ts in the mid-1870s. Between 1868 and 1871, Patrick Stirling introduced the 126 class 0-4-2WTs replace Sturrock’s tanks on the GNR Widened Lines services. Concurrently, the LC&DR realised the need for more and more powerful locomotives for cross-London trains, and on the advice of Neilson & co., Martley once again approached the Great Northern, and was granted permission to base the new Chatham locos on Stirling’s design. Like the Scotchmen before them, the Large Scotchmen performed well on Widened Lines duties, showing an aptitude for quick acceleration and improved riding qualities at speed over their predecessors. Their Widened Lines duties included sharing the Victoria to Moorgate Street services with the Second Sondes class, as well as services to Wood Green over the Great Northern, to Hendon via the Midland, and City portions of main line trains from Holbourn Viaduct to Herne Hill. 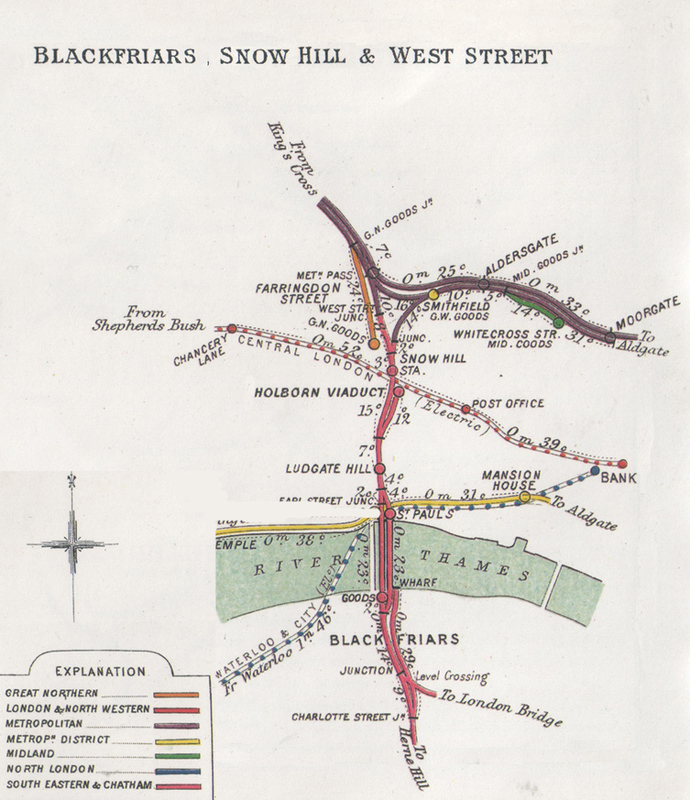 At the turn of the century, the class was still employed on the latter, but by now, instead of terminating at Moorgate Street, services from Victoria ran as far as Basilica Fields. Chatham locomotives were among the best groomed and smartest locomotives in the country. Every express passenger engine was thoroughly cleaned daily no matter what the climatic conditions. Many passenger tanks received similar attention…The Locomotive History of the London, Chatham & Dover Railway – D.L. Bradley (RCTS) p.10. The loco sports the small Neilson works plate, name plate, and a brass ownership plate on the bunker. It has a replacement Kirtley cast chimney, and has been fitted with a rudimentary all-over roof and rear weatherboard. Designed by Crampton, these were the first six locomotives built for the Company. The ‘Sondes’ (named after one of the Directors), were delivered as 4-4-0STs in 1857, and were complete failures, suffering from a plethora of design and construction flaws. When William Martley became Locomotive Superintendent in 1860, he relegated the class to minor duties until they were unceremoniously shoved up a siding at Faversham and forgotten about until finally, in 1865, he gave in to a persistent Lord Sondes who had been regularly exhorting him to rebuild them at the monthly board meetings. It is not on record just how much of the original locomotives were salvaged to be incorporated into the rebuilds; the Engine Register only mentions the boilers, but Bradley, in his RCTS book on the History of Chatham locomotives, suggests that ‘rebuild’ was hardly the correct terminology, and the Accountant’s Register names them ‘Second Sondes’ (some tertiary sources label them ‘New Sondes’), which insinuates that very little was reused. Whatever the truth, the new double-framed 2-4-0Ts were a neat and very attractive class, and more to the point, became very successful on the suburban duties in which they were employed. 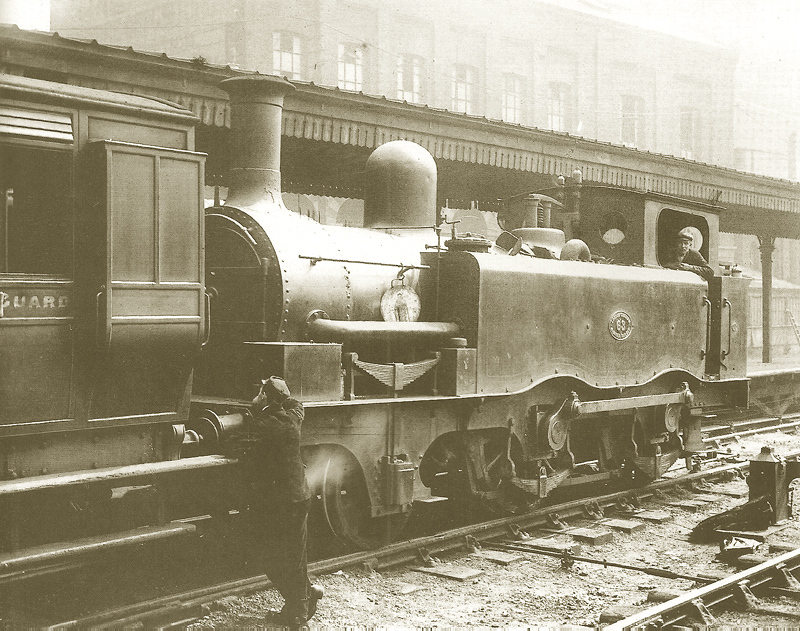 Their styling was very similar to Martley’s three other 2-4-0T designs, the Rose, Ruby and Aeolus classes, and with the opening of the Metropolitan Extensions, were fitted with condensing apparatus and put into service alongside the Scotchmen, where they spent many years in service on City trains. Reboilered in the 1870s, the six members of the class were given enclosed cabs and promptly resumed their duties between Victoria and Moorgate Street until the opening of the Extended Widened Lines, when services then terminated at Basilica Fields. Number 63, formally named Faversham, will represent the class on Basilica Fields, and is seen here at the turn of the 20th Century at Victoria, under SECR ownership, but still wearing the LCDR livery. It was again reboilered in 1907 as SECR No.522, before being withdrawn in September 1909. Not much chance of a kit appearing on the market, so it’s going to be another scratchbuild. Passenger services from three companies originating south of the Thames will feature on Basilica Fields, viz; the London Brighton and South Coast Railway, the South Eastern Railway, and the London Chatham and Dover Railway. The latter, known as the East Kent Railway until 1859, was empowered under the Metropolitan Extension Act of 1860 to build a line from Beckenham to Herne Hill where a junction took a line north west to Victoria, and another due north towards the then projected Metropolitan Railway at Farringdon Street (then known as Victoria Street). The line to Victoria was complete three years later, and the City line was opened as far as Blackfriars Bridge in June 1864. Within six months the line had crossed the Thames to a temporary station, Ludgate Hill, but the final stretch from there to an end-on junction with the Metropolitan at West Street took considerably longer as it fell foul of inspections by the Board of Trade, and it wasn’t until the beginning of 1866 that all objections were satisfied, and the line opened. LCDR services from Ludgate Hill to the GNR terminus at Kings Cross and back commenced immediately, and within two days the GNR was itself running trains between the two stations. Eventually the long arm of the LCDR reached into both Middlesex via the GNR and Midland, and Hertfordshire, with services from Victoria or Herne Hill to destinations such as Hatfield, Enfield, Kentish Town, Hendon, and Alexandra Palace. Key to Basilica Fields, a eastwards spur between Snow Hill and the Great Western Railway’s depot at Smithfield was proposed, to which the BoT objected, due to the safety aspect of the flat crossing between the spur and the outward line from the depot. After much petitioning, the BoT relented, and the spur was eventually sanctioned in 1871, so Moorgate Street became an alternative destination for the Chatham until the Extended Circle was rolled out in the late 1880s, and Basilica Fields became the terminus for Chatham trains. The RCH Junction diagram from the turn of the century shows the relationship between the Chatham, the Metropolitan and the Widened Lines companies, although as the diagram is dated post-1899, the Chatham line comes under the aegis of the SECR Committee.